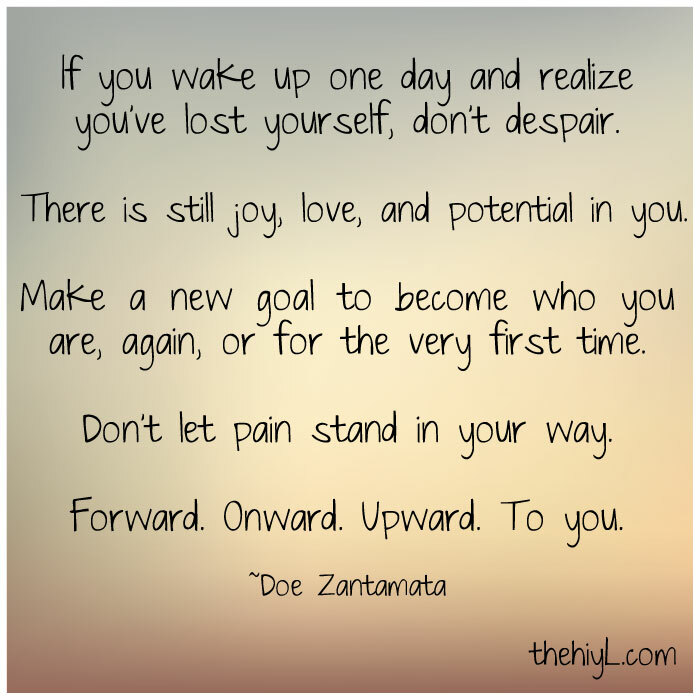 If you wake up one day and realize you've lost yourself, don't despair. There is still joy, love, and potential in you. Make a new goal to become who you are, again, or for the very first time. Forward. Onward. Upward. To you.